Keeping your home appliances clean not only improves their performance, which will lower your electric costs, but also increases the chance they will serve you a lot longer. All home appliances are prone to a number of stubborn deposits such as grease, carbonized fats, tough baked-on grease, sticky grime, soot, limescale, dust, odor and many others. Our appliances cleaning experts have significant experience and will always deliver the most professional and detailed cleaning that will far exceed your expectations. We offer prompt, affordable and comprehensive rotational cleaning program that can revitalize all your home appliances. When you let us clean your kitchen appliances including your oven, cooking range, range hood, exhaust fan, refrigerator and others you ensure that your cooking equipment and kitchen surfaces are clean and maintained, and the food you serve is safe. 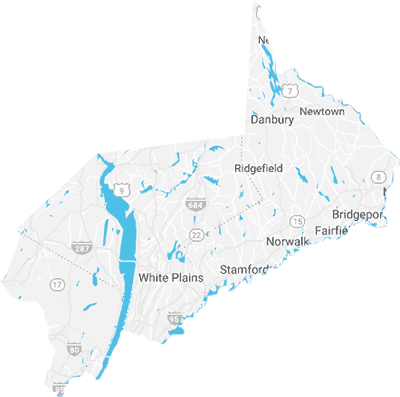 Miss Maid’s Oven Cleaning Westchester NY and other appliances cleaning service covers three common appliance categories – large appliances, small appliances and electronics. Within the large appliances category we clean refrigerators, ovens, cooking ranges, range hoods, dishwashers, grills and barbecues. Within the small appliances category we clean microwaves, toasters, coffee makers, pasta makers, blenders, and sandwich and grill press. For electronics we clean TVs, DVD players, game consoles, audio speakers, computers, monitors and printers. When we perform a top-to-bottom appliances cleaning we review the make and model, and design a cleaning procedure in accordance with the manufacturer’s instructions. First we will detach removable parts where possible and reach places that otherwise remain unreachable and often remain uncleaned. 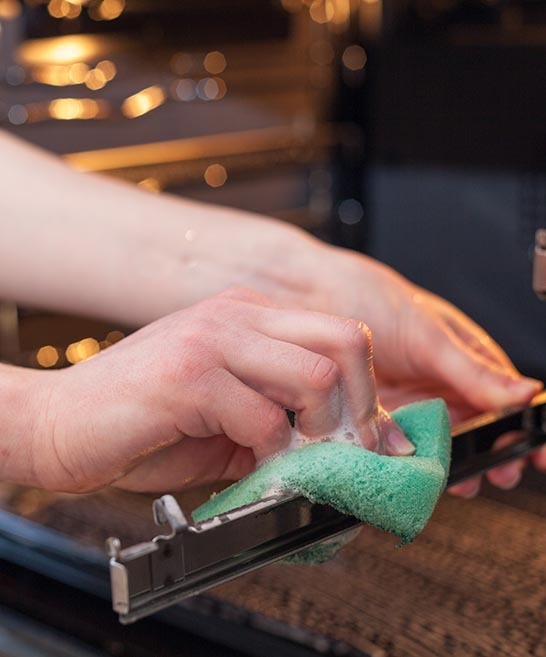 Then we will apply the appropriate cleaning solution to the main body of the appliance and once the solids are dissolved we will scrub, wipe and wash it. We will clean the detached parts individually, by washing or immersing them in a solvent container to remove the most stubborn solids. Once the appliance and detachable parts are both clean, we will put them back together and will delicately wipe and shine the entire appliance. We will also replace where possible consumables such as filters, light bulbs, liners, and others. You can also combine a professional oven cleaning service or any appliances cleaning service with any of our other services and enjoy great savings for cleaner home. Our customers frequently pair appliances cleaning with carpet and rug cleaning, window cleaning, and power washing of patio, porch, external staircases, or driveway. Book with Miss Maid today for a satisfaction guaranteed service. 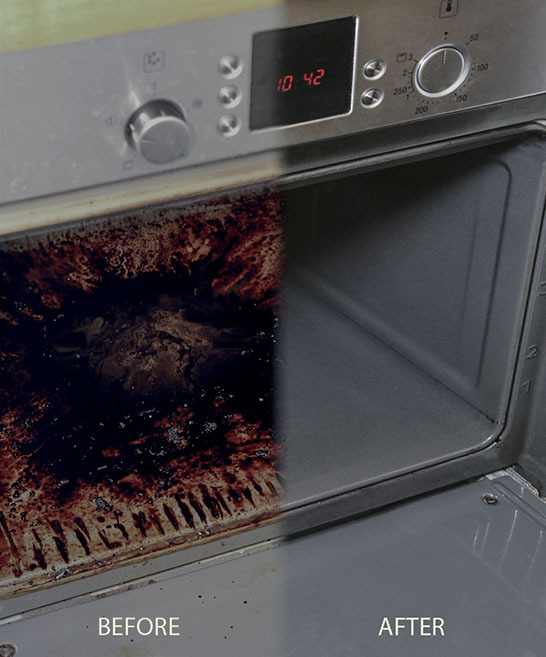 Q: HOW LONG WILL IT TAKES CLEAN MY OVEN? A: Professional oven cleaning and other appliances cleaning is a very intensive task. The time required depends on the type of appliance and can take anywhere from 1 hour to 3 to complete. Our technician are trained to clean any household appliance to shine. Q: DO YOU CLEAN THE OVEN DOOR AND BETWEEN IT’S GLASS PANELS? A: Our technicians will clean any part of your appliance, including between the glass panels of the oven doors as long us it is possible to be dismantled. Q: WHAT MAKES AND MODELS YOU CAN CLEAN? A: We clean all makes and models of ovens, Range Cookers, build in or freestanding, Cooker hoods, Stoves, Fridges and many more. Miss Maid provides appliances cleaning in the counties of Westchester, NY, Fairfield, CT, Rockland, NY and Bergen, NJ. Contact us to arrange services in other areas! We use best in class cleaning solutions and dust purifiers designed to clean thoroughly your appliances, maximize their operating performance and extend their lifetime. Our professional teams are fully qualified, cross-trained and completely dependable to provide you with the most efficient and competent appliances cleaning service. We are known for our exceptional customer satisfaction and outstanding services and guarantee firmly the quality or our products, services and personnel at all times.